Minority Shareholder: Cumulate Your Director Votes! In most elections, the winners are chosen by majority or plurality vote. Minority shareholders in Minnesota corporations should know their rights to make an exception to this rule. Shareholders in Minnesota corporations have the right to “cumulate” votes for directors — to concentrate in one candidate all their votes for all open director seats. Cumulation can allow a minority shareholder to unilaterally elect a director to the board, depending on the number of directors being chosen and the number of shares owned by the shareholder. While electing a single director does not give the minority shareholder control of the company, it does allow the shareholder to place herself or an ally in a position of access to information about the company, and a position of participation in the company’s deliberation and decision-making. Directors – not shareholders – have the power to govern a corporation. Directors also have broad rights to access the books and records of the company. Therefore, a minority shareholder’s ability to monitor the operations of the company he has invested in is greatly increased if at least one member of the board of directors is sympathetic to the shareholder’s concerns and interests. Even though that director may be outvoted at every board meeting, the director’s simple presence gives the minority shareholder a voice in the company and a window through which to keep an eye on the company. In the absence of cumulation, a majority shareholder has the power to choose every director of the corporation, no matter how many seats there are on the board. Each shareholder receives one vote for each share owned, so for each director seat the majority shareholder may cast a majority of the votes. Even if all other votes are cast for a different candidate, the majority owner’s slate of candidates will win every seat. Cumulation changes that result by allowing shareholders a total number of votes to cast in the election, rather than a separate number of votes to cast for each seat. Imagine a corporation with 100 voting shares divided between two owners. Manfred owns 60 shares, while Anna owns 40. There are three seats on the board of directors. This means there are 300 total votes allowed for directors (100 total shares x 3 seats). Manfred is allowed to cast 180 votes (60 shares x 3 seats) while Anna is allowed to cast 120 votes (40 shares x 3 seats). If Anna is allowed to cumulate her votes, she may cast all 120 votes to elect her own chosen candidate as a director (instead of being forced to hopelessly vote 40 shares for each separate seat, if she is not allowed to cumulate). This means Manfred, though he has more votes than Anna, only has enough votes to elect two directors, not all three. Anna has the power to ensure the board of directors will consist of two candidates selected by Manfred and one candidate selected by Anna. Though a minority shareholder, Anna will have a voice on the board. Cumulation is a powerful tool for the protection of minority shareholder rights. It will not help a minority shareholder in all circumstances, but all minority shareholders should consider whether it will allow them – alone or in conjunction with other minority shareholders – to put an ally on the board of directors of their investment. See Minn. Stat. § 302A.215 subd. 2. This is only a default rule. The statute allows a corporation in its articles of incorporation to prohibit cumulative voting, so shareholders should confirm what (if anything) their articles of incorporation say on this issue before attempting to assert the right to cumulate. While the Minnesota courts have not explicitly stated this rule of law, it is well-established in commentary and in other jurisdictions. See, e.g., McGowan v. Empress Entertainment, Inc., 791 A.2d 1, 5 (Del. Ch. 2000); Derfner Management, Inc. v. Lenhill Realty Corp., 90 A.D.3d 434, 435, 933 N.Y.S.2d 671, 672 (2011). 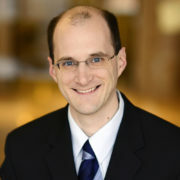 The Fletcher Cyclopedia of the Law of Corporations treatise states that a director’s access to corporate records may be limited in some circumstances, if the director’s motives are “improper,” but affirms that directors generally have the right to access corporate records related to the performance of their duties as directors. 5A Fletcher Cyc. Corp. § 2235. Minn. Stat. § 302A.2015 subd. 2 (“Each shareholder shall cumulate those votes either by casting for one candidate the number of votes equal to the number of directors to be elected multiplied by the number of votes represented by the shares, or by distributing all of those votes on the same principle among any number of candidates.”). Manfred would likely cast 90 votes for each of two candidates. That strategy would guarantee that he controlled a majority of the board of directors, even though he cannot control every seat. Minn. Stat. 302A.215 subd. 2. The applicable math shows that a shareholder who owns only 19% of the company’s shares would not have enough votes to unilaterally select a director unless the board of directors had five seats or more. A shareholder with only 11% of the company’s shares would not be able to unilaterally select a director unless the board of directors had nine seats or more. To unilaterally elect a director to a three-seat board, a shareholder must own more than 25% of the voting shares. Mr. Pull has represented clients concerning a wide variety of commercial and financial disputes, in state and federal courts inside and outside Minnesota. He provides counsel to owners of closely held businesses or partnerships, individuals involved in estate and trust disputes, businesses facing breach of contract or tort liability concerns, securities owners, and others. View Mr Pull's profile here. Shareholder Oppression in Minnesota Closely Held Corporations - Briol & Associates is now Briol & Benson on Who’s in Charge Here? Minority Shareholder: Cumulate Your Director Votes! - Briol & Associates, PLLC on Who’s in Charge Here?